A sermon preached at John Knox Kirk of Kansas City, Missouri, on December 15, 2013. *Please see the footnote. As I made clear from the pulpit, this sermon in particular draws directly from material and is adapted from the sermon “God is With Us” by Fred Craddock in The Cherry Log Sermons. that I’ll try to tell it to you anew, though it is his story. We’re getting towards the end of Advent. We are almost to Bethlehem. The baby is due anytime. And all we have to do now is WAIT – Which is the hardest part. The ANTICIPATION, for me, is always the hardest right about now. Often the most miserable room in the hospital…is the WAITING ROOM. You try to get information—nobody will give you information. Time goes by in a creepingly SLOW way. –that we do what Matthew did. Matthew went outside and took a stroll through Jesus’ family graveyard. We call it the GENEAOLOGY. And its right there at the start of Matthew’s gospel. way to start a book. Who wants to wade through a list of names nobody can pronounce? he was required to read through the whole Bible ONCE a year. BUT—he was allowed to SKIP the genealogies. …Well, we’re NOT going to skip the genealogies. Because, this is really a walk through Jesus’ family graveyard. And there is so MUCH to learn…from family history. It can be pretty awesome, really. I’ve been using Ancestry.com myself for the first time this year. going back to the 1840s. I’ve traced back to the mid 1500s in England. married to Joan Phillips Downe of Devon. All this through the power of the internet. I’ve not gone so far as to seek out any graves, yet. I do like walking through cemeteries, though. to capture the tombstone image. Some people think of going to a cemetery as morbid. But it doesn’t feel that way to me. immortalized by stone and plaque. –coming across graves of folk you wish you were NOT kin to. Fred’s cousin is the one in his family who is in pursuit of their genealogy. where, it seems…she opened a brothel. A VERY DISTANT BRANCH of the family tree. Sometimes, cemeteries can be haunting. –but in what they reveal about relationships. Now, what’s the deal with that? What story does THAT tell? Cemeteries can be very revealing. we go with Matthew to the cemetery of Jesus’ own family. There at the entrance is the patriarch Abraham. There’s a simple marker for Abraham—he was a simple man. He was a person of faith. He’s buried there with his son, Isaac, and his grandson, Jacob. NO marker for Rachel, his grand-daughter-in-law. It’s a sign of how women fit in back in those days. 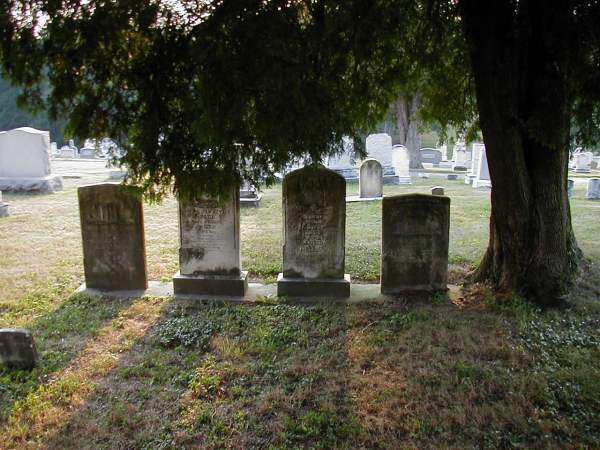 There are FOUR women in the graveyard of Jesus’ family. and he didn’t run as fast as she could. Rahab, in Jesus’ family—she’s like JEWEL in Fred’s family tree. People have long sung of Ruth’s devotion to her mother-in-law. –so that they would be protected. ALL these in Jesus’ family history. And ALL of them have been touched by scandal. Four women who are NOT Jews is astounding. These are the ones about whom you are NOT to speak. The law SAYS—they have NO standing. Are they now being brought in? …SCANDAL is the Bible’s word for Christmas. UNLESS you are ready to talk about scandal! –don’t you think that would be by the BEST, most PURE path? Are the way of life for ALL of us! This LONG line…and THEN—the LAST name…Joseph. Does this mean that Joseph is the FATHER of Jesus? Then Jesus must have been his father, right? –now remember, engagement back then was a legal thing. And register for gifts at Pottery Barn. ONLY by going to court. –and Joseph was engaged, maybe for years. and when the young people came of age—they married. Joseph is engaged to Mary—and he discovers…that she is pregnant. Now, what is Joseph to do? ..in this long line of family scandals. Matthew tells us that Joseph is a GOOD man. A righteous man, who wants to do the right thing. Now, HOW do you know what the “right thing” is? Here he is—a carpenter in the community—and Mary is pregnant. WHAT is Joseph to do? Well, there are TWO ways to go at it. He can get the opinion of people in town. Go down to your coffee place. Talk to folk at your health club. Get on the phone; tweet some folks; put it on facebook. Take it to work. Talk about it at lunch. “Did you hear about Mary? But that is NOT what Joseph does. He will NOT expose her. He will NOT disgrace her. He will NOT humiliate her. THEN what is he going to do? You can’t go wrong if you do what the Bible says. Now how’s that for an answer? We hear this often: Just do what the Bible says. And yes, I believe in being guided by the Word. But do you want to know what the Bible says? And it will clear everything up. he can divorce her and boot her out. Those “family values” are in there, somewhere, in the book. But it is NEVER that simple. The Bible says…that Joseph is a GOOD man. For his day and time. Joseph knows and loves his Bible. BUT he reads his Bible through a certain type of LENS. and ready to redeem EVERY person. –Her value, her dignity, her worth—I affirm and value. Where does it say that, Joseph, in your Bible? It says it in the very nature and character of God! in the New Testament who learned how to read the Bible! –ANY time you read it that way—you’re reading it wrong. The bible is always to be read in the light of the character of God. Mary is NOT EVEN in labor—but Christmas is coming. Joseph stood by as his WHOLE LIFE got rearranged. by such a good and gracious God. and justice and kindness of God. by this God—it will be Christmas. The question is of course, whether or not I am that person? [i] This sermon adapted from Fred Craddock’s Sermon “God Is with Us,” found in The Cherry Log Sermons (Westminster John Knox Press: Louisville) 2001. pp 1-6. Further reflection aided by the sermon of Rev. Mark Ramsey “Life Re-Arranged” in 2007.